‘Easy Going’ (HARflow) was the most talked-about rose in the garden last year and it is even better this year. (I will post about the ‘most talked about’ in later post this week.) 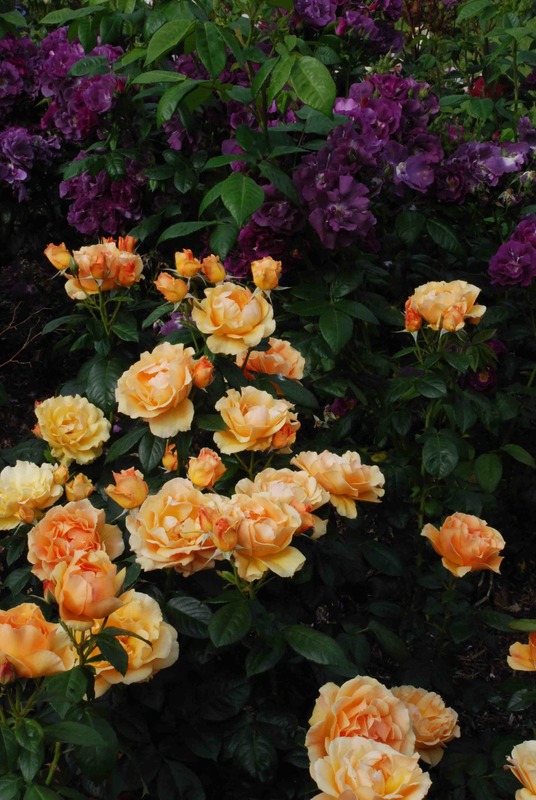 It is a superb bedding cluster-flowered rose (floribunda) that was introduced by Harkness Roses in 1996 and was found as a sport (mutation) of ‘Fellowship’ (HARwelcome or ‘Livin’ Easy’ in the USA) which is identical apart from the orange colour. 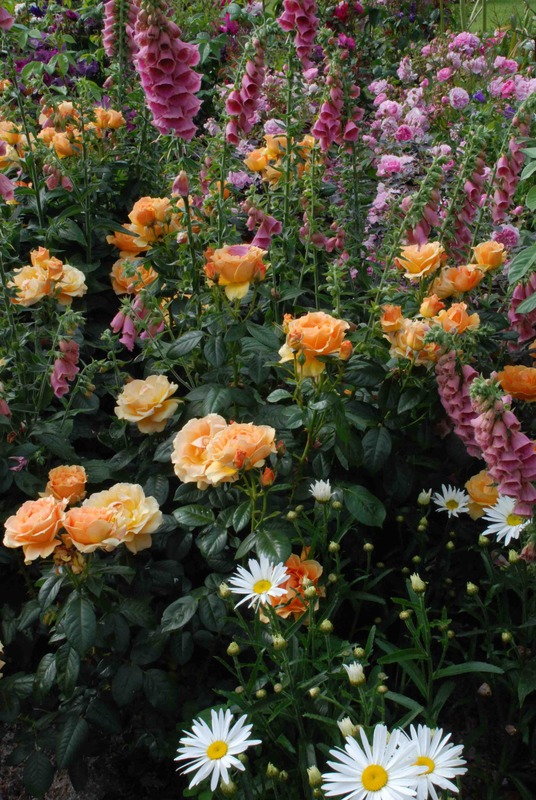 ‘Easy Going’ is well named because it is vigorous, has healthy foliage and is showy with large clusters of flowers in flushes throughout the summer and autumn. The leaves are bright green, have never showed a trace of disease so far over two years and the flowers are fragrant too. It is a big, showy plant and although some sites state that it will reach 1.5m that seems a bit excessive and I would say that just over 1m is more typical. The fully double flowers, with 25-30 petals, are quite large and they make good cut flowers and are good enough for exhibition, at local shows at least. Just one warning, which may be a good or bad thing – this is a really prickly rose. I don’t mean a few here and there – this one would survive grazing by a herd of elephants (not a judgement made from personal experience I must add). If you want a rose for a low hedge or for bedding you could do a lot worse than plant this. 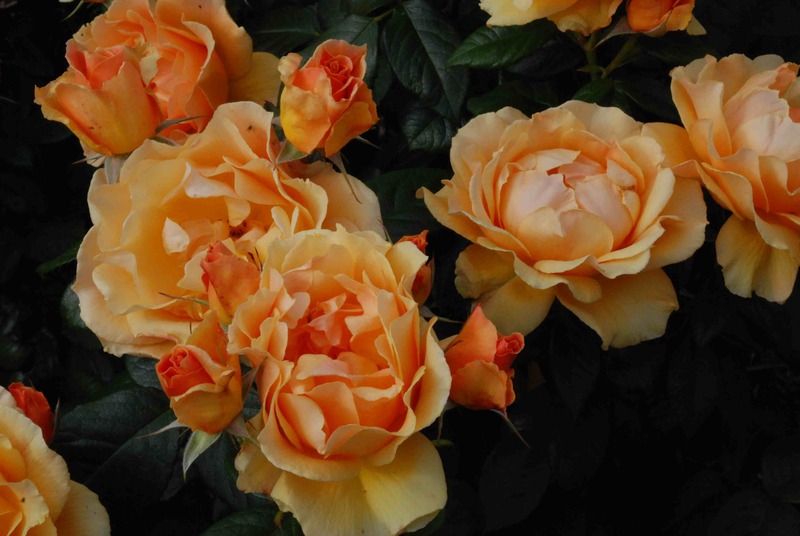 I must confess that orange is not my favourite colour in a rose, and I would have imagined it difficult to combine successfully with other flowers. But you have proved me wrong (at least on the latter!). The colour combinations created there are stunning – quite sumptuous! I may have to rethink! No, they are not my favourite either. 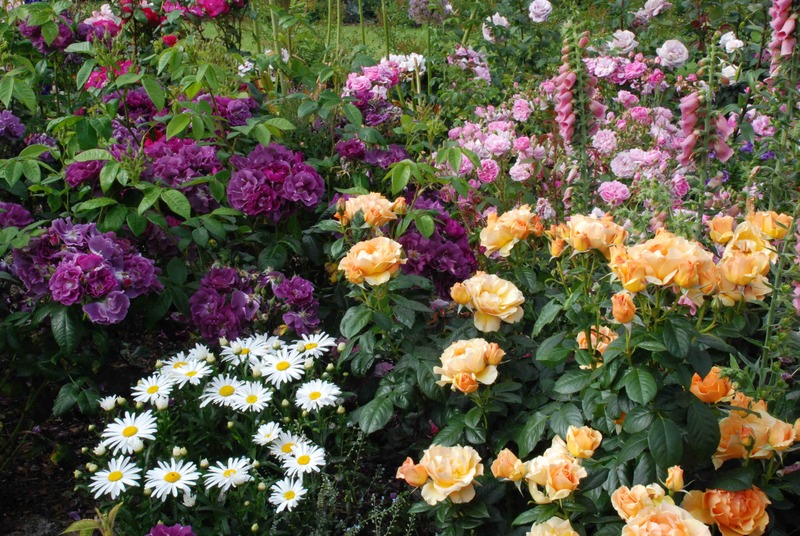 My plan was that the centre of the rose garden is mostly pinks, white and mauve and that is partly surrounded by a purple beech hedge. The outer planting includes brighter colours and when the beech grows there wont be the contrast of orange and purple – though it is quite dramatic! A more orange rose is going to be posted in a few days! Is the purple rose next to it “ebb tide”?